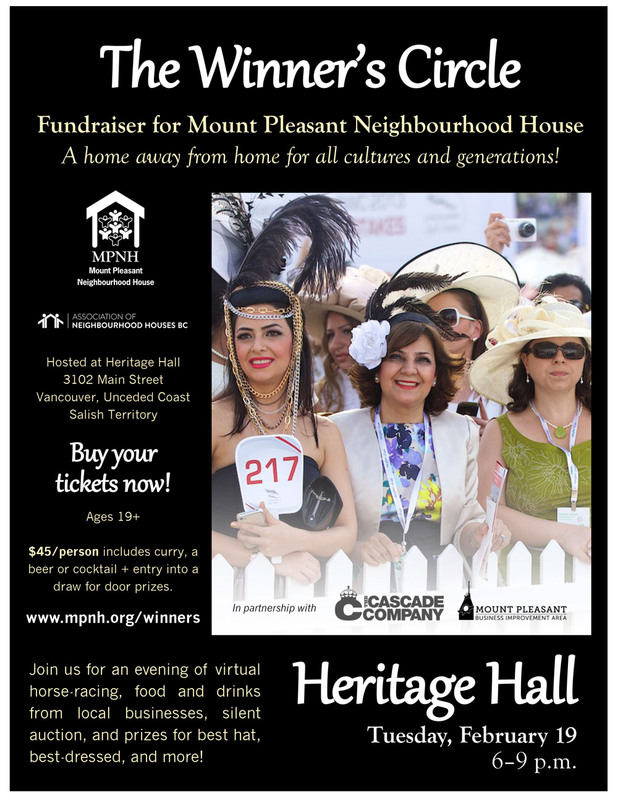 The night of virtual horse racing on Tuesday, February 19 is hosted at Heritage Hall on Main Street by organizers from Mount Pleasant Neighbourhood House. 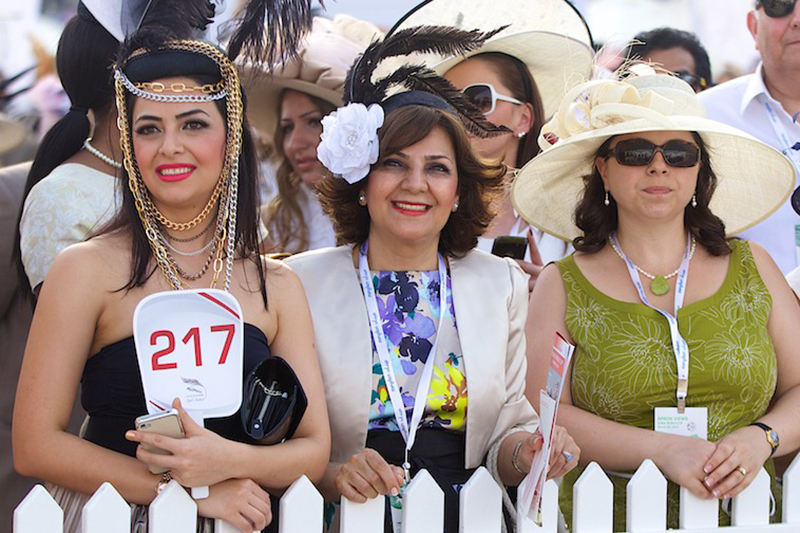 From 6 to 9 p.m., ticket holders can enjoy gambling on virtual horse races, taking part in a silent auction, and vying for the coveted “best hat” and “best dressed” prizes. Tickets include a chicken or vegetarian curry, plus a beer or signature cocktail, and entry into a draw for a wide array of door prizes. Bets, beers, and cocktails are $2 each, so bring your toonies. Tickets are available for $45/person for this ages 19+ event. “As a community of folks from around the globe, we’re thrilled to bring the UK’s virtual horse-racing trend to Vancouver—thanks to our relationships with The Cascade Company and the Mount Pleasant Business Improvement Area,” said Jocelyne Hamel of Mount Pleasant Neighbourhood House. “We’re collaborating with local businesses to ensure our changing neighbourhood thrives in connection, celebration, engagement and leadership,” said Hamel. Tickets for The Winner’s Circle are on sale now. To reserve your spot and help support Mount Pleasant Neighbourhood House, simply head over to Eventbrite. Tickets: $45/person on Eventbrite, or $55 at the door. Ages 19 & up.